People spend their lives struggling to earn money, fame and glory; all of which is washed away in a moment, by the tricks of time. Some do get rich while others languish in poverty their whole lives, but both meet the same fate. I am reminded of an old Indian saying, “After the game is over, the king and the pawn lie in the same box.” As a school boy I often sat glued to my T.V set watching one of the most influential world leaders, Mrs. Margaret Thatcher deliver forceful speeches. House of Commons applauded, many sighed, marveled and envied her majestic personality. But a few years ago, I read in the papers that she was ‘a sad shadow of her former glorious self’. The Sunday Times reported that Lady Thatcher was a “lonely, forgetful and almost friendless figure on the edge of senility”. The grim realities had dawned upon me; Mr. Time treads his steps slowly but surely. Hiding around the corner, he waits for an opportune moment to pounce upon an unsuspecting victim. A former Prime Minister is no exception. 7/07/2010 • Thou shalt not kill! We are grateful to HH Radhanath Swami for His profound realisation. This article gives very clear picture of the nature of this world and also the nature of great souls like HH Radhanath Swami in their delaings with it. It is very true.Whatever possessions we have ,any time it will go away or taken away by the influence of time.Radhanath Swami is so nicely telling diffeent lessons which we learn from his personal life.It is so inspiring.Thanks for the same. 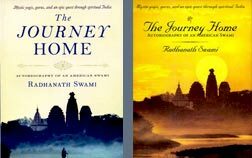 How Radhanth Swami goes deeper from each and every experience in his life…rather than complaining he sees it as an opportunity to come closer to God…!! This is a wonderful lesson learnt…. We should all long and work for the real wealth of love of god which can never be seperated from us. Really this quote of HH Radhanath Swami Maharaj “Only when we are connected to transcendence can we revive our dormant blissful nature, and overcome the fearful dualities of material existence.” is wonderful and should be taken seriously. Radhanath Swami speaking the truth…any time our cherished peanuts will be taken away…Thank you Radhanath Swami for these enlightening words. EYE OPENER . EXCELLENT NARRATION. We like or not but Radhanath Swami like an expert Doctor give the always right medicine for our diseases. it is very nice to know the reality of the world by Radhanath Swami which is seen but never realised. Radhanath Swami through his practical experience of life has clearly explained the true fact of life which we ignore. This article is really an eye opener. Maharaj is so compassionate and humble towards monkeys,if it was any other person ..he would have surely hit the monkey with a stick..Maharaj always have some realisation to share from his experience. Thanks Maharaj for opening up your golden treasure in the form of your autobiography. It is amazing to see Maharaj thinking and meditating on higher things in such difficult times…..
Whatever Radhanath Swami writes is so true that one can see it happen in one’s own life or in the lives of other people around. Thank you very much for wonderful article. It is so amazing that in such a difficult and desperate situation also HH Radhanath Swami was meditating on higher values and teachings. Radhanath Swami means what he says. We see in this book how he left all the material possessions so effortlessly for the sake of higher spirtual gains. The power of time is wonderfully depicted in this narration. A very important lesson to learn is that whatever we may have is destroyed by the waves of time and is washed away slowly. One must therefore be grateful to God. How true it is! Whatever one acquires in this world is ultimately lost! 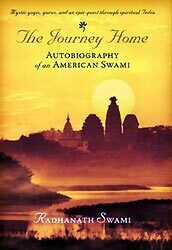 I sincerely thank Radhanath Swami for his writings. God is already taking care of what we need. Moreover He also takes care that we do not get what we DO NOT NEED. But we do not have faith in HIM and waste our time chasing it. Radhanath Swami emphatically states that this is a foolish thing to do. 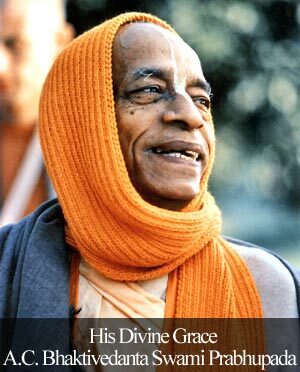 Radhanathswami Maharaj is a great soul,thats why he is connecting each and every incident of his day today life in to a profound realizatoin,likewise in this pasttime of penuts in Journey Home,Radhanathswami Maharaj realized that worldy acquisitions are like those penuts,for which people lie,cry& die,they fight & strugle for a handful and time is like monkey which is suddnenly taking away every thing. H.H.Radhanathswami Maharaj ki Jay! very wonderful article enlightening me to the realities of life. I am grateful to Radhanath Swami Maharaj for sharing such deep realizations through his book. Thank you Radhanath Swami for such a wonderful lesson. Thank you for sharing this enlightening article of Radhanath Swami. What an wonderful explanation of how time will never fail to engulf everyone into its fold without failing be it a king or a pauper. Radhanath Swami has wonderfully described the temporariness of this material world which Bhagavad Gita also talks about. Thank you Radhanath Swami for reminding all of us of this lesson. Thank you Maharaj for showing how the Lord as all powerful time has the power to destroy all our slowly built possessions.